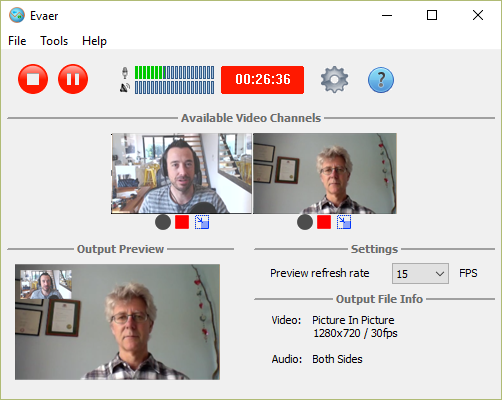 Today, we released a new version that has added more flexible functions for recording Skype video calls. Switch the video channel allows user to control the single video channel dynamically when recording the Skype video calls. That can start/stop the specify video channel during the Skype video recording . e.g. It just need to click the Stop recording button under other video channel if you want to record your video image only. It will show your video only on output video file. Also can stop recording your video to record the remote video only as your need. If you want to exchange the video position on picture in picture video recording mode, that just need to click the arrow icon to exchange caller and callee video position. This entry was posted in Skype Video Recorder and tagged control video channel, record remote video only, record specify Skype video on July 4, 2016 by admin.